A new deal on victims of Japan’s wartime use of forced labor, or a joint fund involving the Japanese government and firms, could be solutions to resolving the intensifying diplomatic row between Seoul and Tokyo, the victims’ lawyer said in an interview with The Korea Herald. Relations between the neighbors have again hit a new low after South Korea’s top court ruled last month that Japan’s Nippon Steel & Sumitomo Metal Corp. must compensate four South Koreans, who were forced to work at its steel mills during Japan’s occupation of the peninsula. 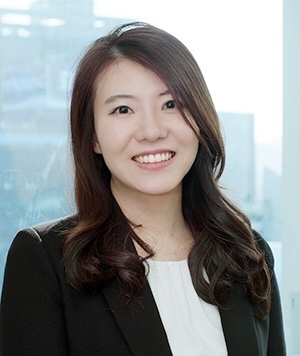 “The ruling recognized that the forced labor was an illegal act,” said Kim Se-eun, an attorney at Haemarulaw Lawfirm & Notary Office, who joined the team of legal representatives for the victims in May last year. Among the four plaintiffs, only 94-year-old Lee Chun-sik has survived the legal battle, which dragged on for 14 years. South Korea said it respects the ruling and created a body comprising government officials and outside experts under Prime Minister Lee Nak-yon’s office to devise follow-up measures. “The 1965 treaty neglected many of the human rights violations by the Japanese government during the war. Yet, the treaty has blocked the victims from seeking an apology and compensation,” Kim said. Under the treaty that normalized diplomatic relations between South Korea and Japan, the Japanese government offered the South Korean government $300 million in grants and $200 million in low-interest loans, which contributed to Seoul’s economic takeoff. Japan and South Korea have maintained that the forced labor issue had been settled under the treaty. All eyes are on whether Seoul and Tokyo can find a way to tackle the dispute as further rulings by South Korean courts in favor of the victims of forced labor are expected to escalate the diplomatic row. The Supreme Court is set to rule on two separate damages suits filed by South Korean victims of Japan’s forced labor against Mitsubishi Heavy Industries Ltd on Thursday. The lawyers for the victims will continue to file suits to help them claim compensation and hold negotiations with the Japanese firms. The legal team went to Japan earlier this month and requested a meeting with the steel firm’s officials several times, but the company refused to meet them. If the negotiations do not work, the lawyers plan to request a seizure of Nippon Steel’s assets in South Korea, which is seen as a red line for the Japanese government. The firm’s assets here include a 30 percent stake in Posco-Nippon Steel RHF Joint Venture. But the best option for both governments is to find a diplomatic solution, Kim said. “The government could sign a new accord with Japan. Despite acknowledging their differing views of the 1965 treaty, the political deal could include Japan’s plans for compensating the victims to resolve the issue,” said Kim. The fund could involve the two governments and Japanese companies accused of using forced labor, as well as South Korean companies thought to have benefitted from Japanese aid under the treaty, she said. An estimated 261,000 South Koreans were forced into labor during Japan’s colonial rule of the Korean Peninsula, though there is no official data on how many of them are still alive. “It is important for us to do something while one more victim is alive,” she said.